Oklahoma Sound's Power Lectern #111PLS in medium oak is a full-floor lectern that comes with two types of microphones, four speakers and a built-in amplifier. With clean functional styling, great sound and ease of use has made this lectern a popular choice. There is an optional feature of wireless microphones available. The four 8" high-efficiency speakers are matched to a 30-watt amplifier that kicks out more sound for its size. 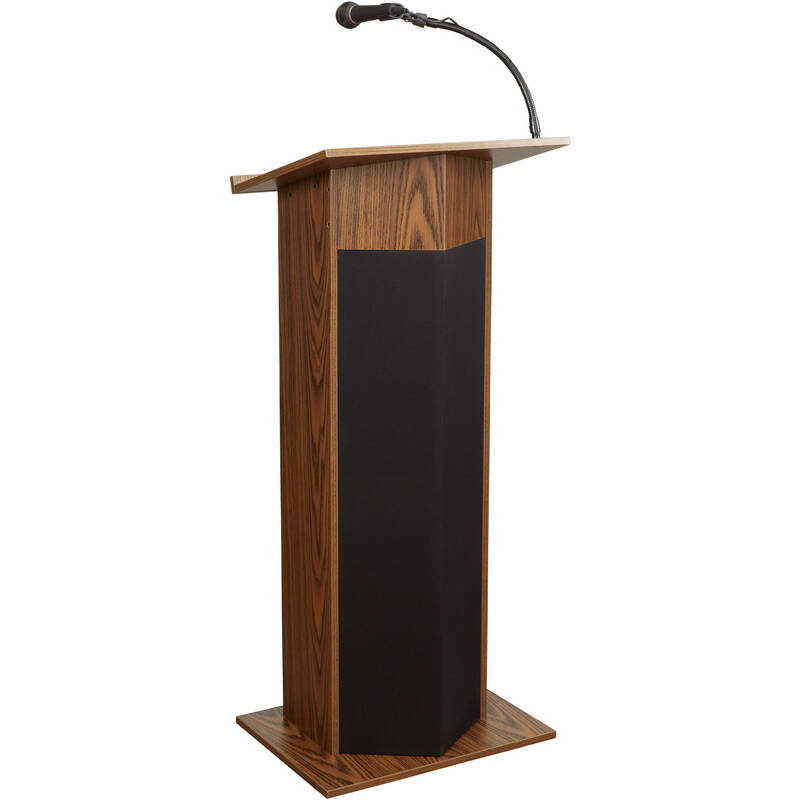 This lectern is ideal if you are looking for a lectern with a built-in sound system. This #111PLS lectern from Oklahoma Sound is ideal for mid-sized audiences of 900. The built-in amplifier's control panel has two microphone inputs as well as a line in/out plus a full array of multimedia functions for a total A/V experience. There is also an extension output included allowing the sound to be custom tailored via the full range tone controls. Oklahoma Sound offers a two-year warranty on this built-in sound lectern. You can be assured that your investment is protected and that you are purchasing a quality product. Box Dimensions (LxWxH) 47.0 x 20.0 x 20.0"